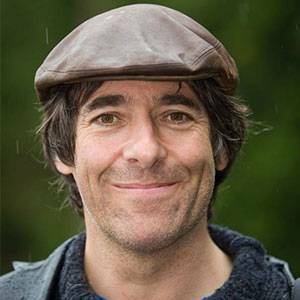 Mark Steel’s rant after Labour turned him down is funny and true. The party is walking eyes shut, arms outstretched, over the cliff’s edge to the jagged rocks below. This is not a moment to refrain from disturbing the serenity of the walk on the basis it causes ‘disunity’. It is a moment for a rugby tackle if that were possible. I was only skimming and thought it was said by someone else. I imagined the party walking towards the cliff was, you know, what the party has been doing since Blairism. And that the rugby tackle was coming from the left with Corbyn doing his best to stop it walking over the cliff. Which seems to make a little more sense to me still really. For what it’s worth, in the Subgenius church we DO make you pledge to bring down the subgenius church whenever you see an opportunity. And to kill “Bob”. It’s our duty. I new it! A sock-puppet! Controlled by ME! I expose you Frankie! Or should I say, Pre? Just “Testing” is no kind of excuse, you monster. As does the proper tree thingy. So I think this mostly looks okay now, hopefully not many more test comments. Yeah, just the double-indenting to test really. How’s that work? Yeah, and what if you don’t have a gravitar? What then? Obviously then you get a random monster based on your email address. Duh.